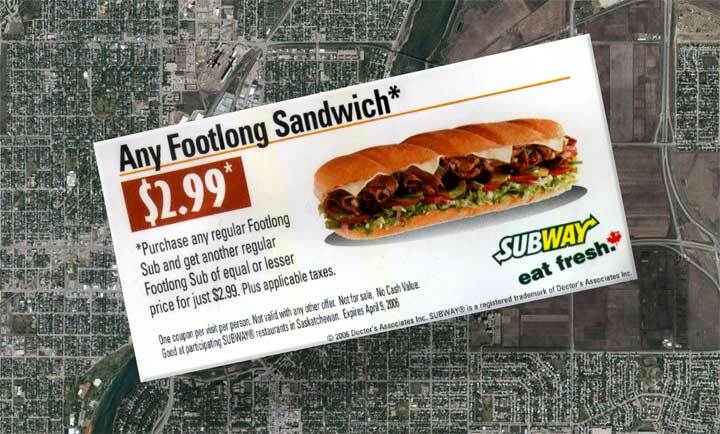 Foot long for $2.99 ??? Right on! Glad to see that someone else considers misleading ads as downright lies! But ........unfortunately "Dave" has come to grips with the fact that we all don't live by the same rules. That doesn't make it RIGHT, I think it just means that he's been conned enough times to be downright suspicious of anything that just may be a come-on. When installing new software he probably even reads the complete EULA before he tries it out ! ! ! Just remember the old saying "Fool me once, shame on you. Fool me twice, shame on me." I have a similar problem with the "advertising" on a web site that I visit on a daily basis. The webmaster is apparently enamored with "QuickTime", using it for his daily "soap box" (which he calls the "Daily Video"). I've been getting a message telling me that I need the latest version of QuickTime to fully appreciate the contents, but the "QuickTime" link keeps telling me the "updated version is not available on the server." False Advertising ??? Guess it really doesn't matter ----- many times the "Daily video" is just a talking head anyhow. Unfortunately, with my internet connection being a standard phone line it takes a few minutes to download it - and all I've been getting (since his "upgrade") is tha audio. Mostly not worth the download time. Oh well....the rest of the site is really OK -- so I guess missing the regular (NOT daily) soapbox isn't a big thing. Seriously, Tim -- Best of wishes, and keep up the good work. Your site is a Godsend to us displaced Ridgedaleite/Saskatoonians. That's the problem with experiments, there are problems sometimes. Today I was in an important community office and wanted to show the people there a particular video, one done last week and on one machine there was no sign of the video on the page and on the other the video appeared as a white box and only the audio played. A similar problem to what Jack experienced. Both machines were running Windows XP. However, I consulted an expert and he told me he checks them each day they are posted and they run perfectly on a similar machine. As Jack noted the problem is in the QuickTime version. I don't know why Apple sometimes is unable to furnish an efficient download but it appears to happen. If you have the same problem as Jack just go to apple.com and download the latest version of QuickTime. The reason for using QuickTime is quite simple, it is the best way of streaming video and audio and it is free. Other methods involve separate applications and windows running whereas QuickTime will play in place if you want it to and if you have the latest version it always works.